360's work will include promoting a monthly subscription service, two loyalty membership programs, and its CSR initiative, as well as general promotion of its theaters and pushes for movies. BOSTON: Showcase Cinemas has chosen 360PR+ as its U.S. AOR after an agency review that began in January. Five agencies, including 360 and the incumbent, were invited to pitch during the second week of January before making presentations in mid-February, said Mark Malinowski, VP of global marketing at Showcase parent National Amusements. Showcase began working with 360 at the beginning of March. Malinowski declined to identify the incumbent agency. However, Boston-based PR and marketing firm Marlo lists client work for National Amusements and Showcase on its website. "We had a good relationship with the previous agency," Malinowski said. "A lot of [the search] had to do with getting a fresh perspective in thinking and hearing from different firms and getting their take on our business." A Marlo representative could not be reached for comment. He added that the year-long contract amounts to 30% of Showcase’s overall marketing spending, but declined to disclose other financial details or information about the pitch. Malinowski said 360’s work will include promoting a monthly subscription service, two loyalty membership programs, and its CSR initiative, as well as general promotion of its theaters and pushes for movies. "We work with the film studios every single week," he said. "We are promoting certain movies each year. We co-market them with the major studios. One of those is the new movie ‘Rocket Man.’"
The company’s marketing efforts include digital display ads, paid spots on radio and geotargeting, as well as social media. The company also works with Pandemic Labs, a social and digital agency based in Boston, said Malinowski, who added that all of its agencies will work in integrated teams. SVPs Caitlin Melnick and Mike Rush in 360’s Boston headquarters will lead a team of a half-dozen staffers on the account, said agency founder and CEO Laura Tomasetti. The firm’s work will include a focus on earned media and a "robust" influencer program, she said. Showcase Cinemas is owned by privately held National Amusements. 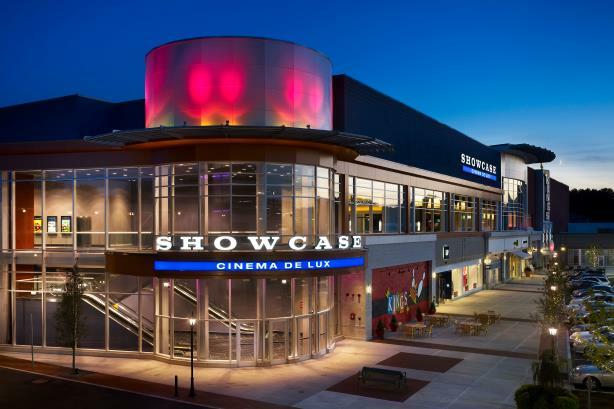 Showcase owns and operates 28 movie screens in Massachusetts, Rhode Island, New York, Connecticut and Ohio. Another National Amusements-owned company that runs movie theaters in the U.K., Brazil and Argentina is not covered by this account.